Paranoid Schizophrenia research paper due and don’t know how to start it? How about like this? Paranoid schizophrenia is a subtype of the mental disorder schizophrenia found in the DSM-IV. The criteria for a general diagnosis of schizophrenia require that a patient exhibit at least two of five possible characteristics: experiencing delusions, experiencing hallucinations, having disordered or incoherent speech, showing catatonic or grossly disorganized behavior, or showing negative symptoms such as entirely “flat” emotional responses. Bizarre delusions or florid auditory hallucinations – multiple voices engaged in constant conversation or commentary, for example – are also sufficient criteria for diagnosis even in the absence of a second symptom. The paranoid subtype of schizophrenia has been distinguished as involving only these latter characteristics, with patients obsessing over their delusions or hallucinations. Typical delusions include the irrational fear of persecution and the belief in conspiracy theories that personally involve the patient. Subscribing to general conspiracy theories without this aspect of personal involvement is not considered a sign of the disorder. Dividing schizophrenia into subtypes has become controversial in recent years, and currently the committee working on the diagnosis for the updated DSM-V is recommending the elimination of all subtypes for the disorder. Whether it appears in the next version of the DSM or not, its colorful popular conception will ensure that the idea of paranoid schizophrenia lives on. 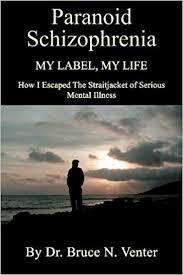 Some schizophrenics suffer from delusions. For example, one schizophrenic may think he is Christ while another may believe he is the President of the United States. Still another may believe that everyone is out to get him, that his thoughts are being controlled by alien beings, or that radio waves are leaking into his brain. There is no limit to the number of bizarre delusions a schizophrenic individual may suffer from. And, these delusions do not conform to logic. Schizophrenics may see, hear, smell or feel things that are not there. Moreover, they may talk in a way that is difficult for other individuals to understand. The schizophrenic may pace the room or exhibit other strange mannerisms that do not make sense to bystanders. An individual who is diagnosed with disorganized schizophrenia has hallucinations or delusions that make no sense and have little or no recognizable meaning. An individual suffering from this type of schizophrenia may withdraw from society, engage in silly behaviors or use childlike behaviors and gestures. A person with paranoid schizophrenia may believe he or she is being chased and persecuted by others, or that he or she is above others. A paranoid schizophrenic completely misinterprets the simple actions and motivations of others. They may believe common occurrences, such as a thunderstorm, are a direct sign from God meant for them alone. reatment for Personality Disorder Research Papers inspect the different therapies used in treating personality disorders. Borderline Personality Disorder Symptoms in people can frequently fluctuate between anger and anxiety or depression and anxiety, and occurs from averse social situations, and tension in relationships based on something they perceived as a rejection or failure. Antisocial Personality Disorder Research Papers deal with the diagnosing the disorder. Borderline Personality Disorder Research Papers discuss the damages that it causes to body. Personality Disorder Narcissism effect individuals in a variety of ways like narcissism. Treatment of Major Depressive Disorder Research Papers go into pharmacological treatment and different therapies. Mood Disorders research papers discuss the psychological problems of depression and dysfunctional mood patterns. OCD research papers report on the condition of obsessive compulsive disorder in society. Treatment of Hypochondria Research Papers examine how the mental illness can be treated through psychotherapy plus drug treatment. Mental Illness and the Brain - Mental Illness and the Brain Research Papers research the malfunctions in the brain. Personality Disorders - Personality Disorder Research Papers discuss different disorders that affect a person's personality. Major Depressive Disorder Research Papers discuss the diagnosis for this disorder. Agoraphobia Research Papers look at this anxiety disorder, and what the symptoms are. Paper Masters writes custom research papers on Paranoid Schizophrenia and discuss the subtype of the mental disorder schizophrenia found in the DSM-IV.